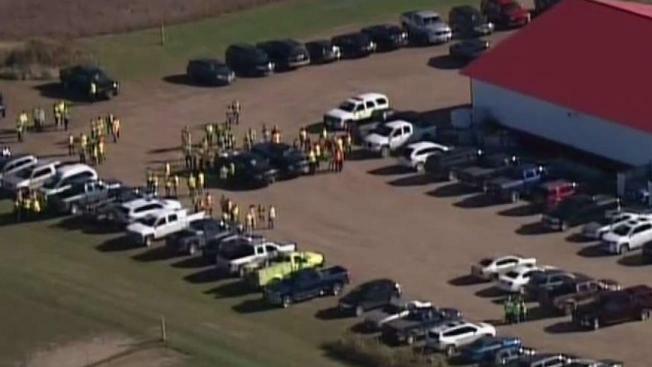 Authorities say a ground search has turned up nothing useful as investigators look for a 13-year-old girl who went missing after her parents were found dead in Wisconsin. Deputies found Jayme Closs' parents shot to death in the family's home in rural Barron early Monday. The girl was nowhere to be found. Investigators say the girl is in danger and is not suspected in her parents' deaths. Barron County Sheriff Chris Fitzgerald says the ground search won't resume Friday. His office coordinated a ground search Thursday using 100 volunteers to comb fields and ditches, but he says the search turned up nothing of evidentiary value. Fitzgerald says his office hasn't received any tips that would lead deputies to continue the ground search. Investigators say they'll outline their plans later Friday.